Phuket, the Pearl of the South, is Thailand’s largest island. It is one of the wealthiest and most beautiful provinces in the country. With the completion of the Sarasin Bridge connecting the island to the mainland, the province and Phuket town grew rapidly. The island is now one of the most sought after holiday and honeymoon destinations in Asia. The superb beaches of Patong, Rawai, Kata, Kamala, and the picture-postcard islands make Phuket a retiree’s paradise. 1. Phuket International Hospital and Bangkok Phuket Hospital offer good service for both outpatient and inpatient needs. 2. Patong Hospital and Vachira Phuket Hospital provide more basic health services, as do many different health clinics, opticians, and dental centers. The cost of building a house on beachfront property, depending on location and size, can range from 2 to 10 million baht. Also take into account the level of interior decoration. Phuket International Airport, an hour by road from Phuket town, is served by many international carriers from Europe and Asia. Airport limos run anywhere on the island from 600 to 1,000 baht per one-way trip. Cheaper airport bus goes to Phuket town and nearby beaches, but takes longer as it makes frequent stops along the way. The routes from Bangkok to southern Thailand don’t go to Phuket, but you can get as far as Hat Yai city and take overland transport from there to Phuket if you prefer the train and bus. Air-conditioned buses leave every hour, day and overnight, from the Southern Bus Station in Bangkok. The journey takes about 12 hours, but you can break it up by stopping at one of the many smaller towns along the way. Tuk-tuks, songtaews, private taxis, motorcycle taxis, and minivans will get you anywhere on the island, although they tend to charge inflated prices, especially during the rainy season. In Phuket town and many of the beaches, you can easily rent your own car for as little as 1,000 baht per day, or a motorcycle for about 200 baht. Visa renewals are usually done at Penang in Malaysia—a minimum three-day trip including visa processing. Border runs can be completed within a day if you don’t mind long hours on the bus. 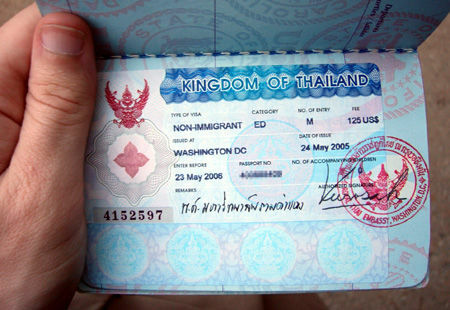 Some visa services are provided at the Phuket Immigration office. If you are thinking of retiring in Phuket speak to us about the options available to you such as a Retirement Visa or Permanent Residency which can arranged for you if you enjoy what Phuket has to offer as a retirement destination. Speak to us online or in person today!